2) Much of this video takes place in a very sparely-decorated apartment. 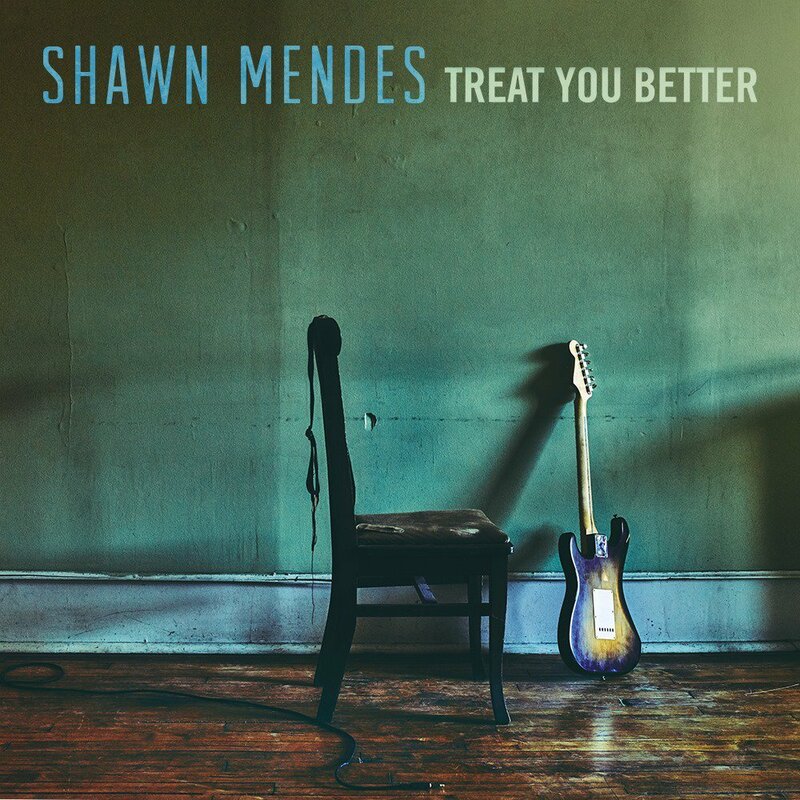 Because Shawn Mendes and the girl he’s singing to both appear young, it’s easy to assume they are both in their first apartments. Tell us about the first place you ever rented. The first place I ever lived in after my parents house was my college dorm. It was small and I had some posters to decorate with. By the time I actually rented a house, my roommates and I had some nicer decor. 3) It's clear he can hear his neighbors' conversations and arguments through the walls. Are your neighbors quiet? Do you consider yourself a quiet neighbor? I am a quiet neighbor, but I do not need to be, there aren't any neighbors close enough to hear any noise from my house. 4) This song received a lot of attention and airplay because it was used in a Southwest Airline commercial. When you last visited an airport, were you traveling yourself or meeting someone? I was dropping someone off. 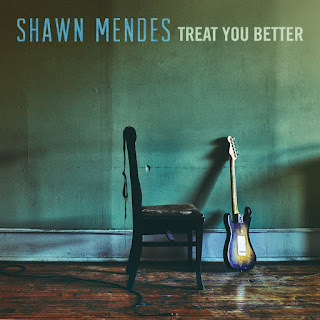 5) This week's artist, Shawn Mendes, was a serious skateboarder during his high school years. Sam has never even set foot on a skateboard. How about you? yes, I have been on a skateboard...I do not care anything about it though. 6) Shawn is happy eating cold cereal with milk for every meal -- breakfast, lunch and dinner. He prefers cereal with almonds in it. What about you? Do you have a favorite cereal? I do not really have a favorite and I do not eat it all of the time. I go through phases. 7) He says he started eating cereal beyond breakfast because it's convenient, and it helps him avoid "junk food" when he's in a hurry. Do you often order your food "to go?" More than I would like to. 8) In 2016, when this song was popular, a German shorthaired pointer named CJ won Best in Show at the Westminster Dog Show. Is there a dog who holds a special place in your heart? I have 3 dogs that hold a special place in my heart. Mandy, Molly and Meisha. The dog that loves me most though is Mandy, so she is very special to me. Here is Mandy. 9) And this week, we're trying a random fill in the blank: I wish someone would create an app that is like GasBuddy, but for propane so you could just look at an app for the best price. If there is one, let me know! Mandy has a great face! Many Sat9ers mentioned worrying this morning. I wonder if it's a chick thing. Mandy looks like a cuddlebug! Mandy is a cutie!! I enjoyed reading your answers!! Glad we connected, Lori!! Mandy is cute. I think a propane app is a good idea. Unfortunately around here, you're stuck with buying whomever you rent the propane tank from. Maybe it is different if you own the tank and don't rent it. Are you dogs Corgi's? They look like they could be. 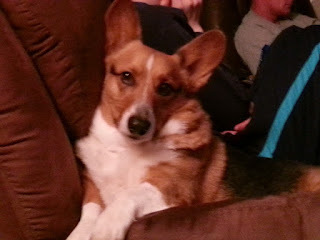 Our daughter and her family raise and breed Corgi's and apparently they are very popular dogs. Have a great weekend!